The Twin was Fender's original two 12-inch speaker tube amp launched in 1952. 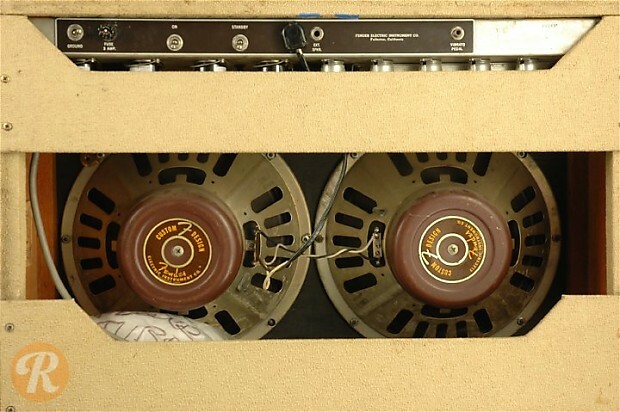 Like many of Fender's amps, the Twin underwent a number of cometic and electronics changes throughout its run. 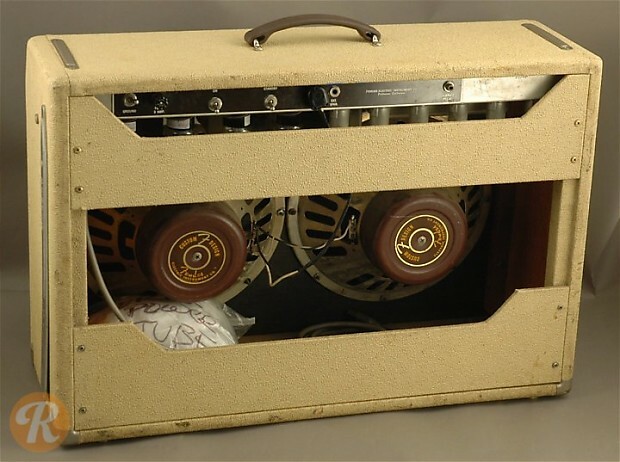 Originally, the Twin used Fender's standard narrow and then wide-panal designs with tweed covering in the '50s before changing to a white tolex with oxblood grill style in 1960. 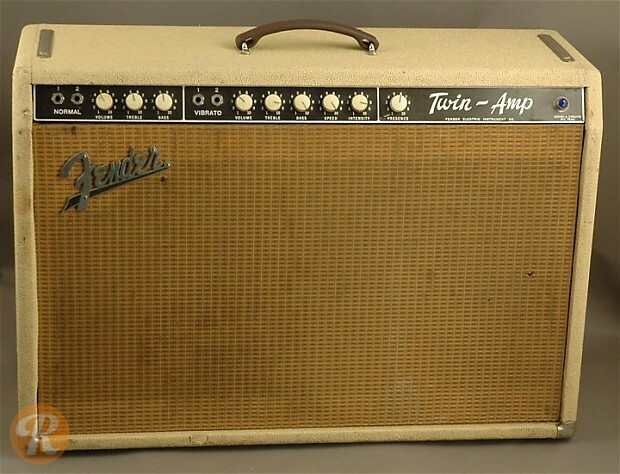 The original Twin was supplanted by the Twin Reverb in 1963: one of Fender's all-time most iconic amps.